The sixth presentation of the InterAgency Brown-Bag Lecture Series for CGSC academic year 2019 was conducted Jan. 30, in the Arnold Conference Room in the Lewis and Clark Center on Fort Leavenworth. Supervisory Intelligence Analyst Robert Carignan of the Federal Bureau of Investigation’s Kansas City Division led a discussion on the Kansas City Division’s 2019 threat priorities and observed insider threat indicators. 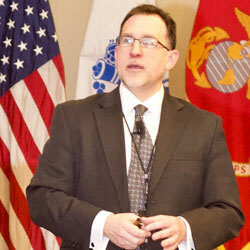 Supervisory Intelligence Analyst Robert Carignan of the Federal Bureau of Investigation’s Kansas City Division leads discussion in the InterAgency Brown-bag Lecture Jan 30, in the Arnold Conference Room of the Lewis and Clark Center on Fort Leavenworth. Carignan provided an unclassified overview of activities and threats prevalent in the KC metro area to a group of approximately 50 attendees made up of CGSC students, faculty and civilian guests gathered in the conference room. Among some of the topic he discussed were domestic and international terrorism, gangs, human and drug trafficking, cyber security and cyber threats, and a summary of some resolved cases of espionage and other crimes related to the military. The FBI’s presentation during the InterAgency Brown-Bag Lecture Series has always been a popular one, regardless of the level of detail the FBI representative is able to reveal during the briefing. Carignan has been with the FBI since March 2005, and has served time with the Bureau in Afghanistan and Iraq. As a supervisor, he oversees the intelligence program in the division’s eight resident agencies spread across Kansas and Missouri. For more information about the FBI in Kansas City, visit the KC field office website. The InterAgency Brown-Bag Lecture Series is co-hosted by the CGSC Foundation’s Simons Center with the U.S. Army Command and General Staff School (CGSS). The series is an extracurricular, interagency topic-focused series that is intended to help enrich the CGSS curriculum. The presentations are scheduled each month. – The next lecture is Feb. 14, 2019, featuring a presentation on the Defense Intelligence Agency (DIA). 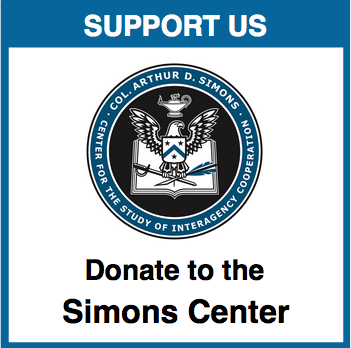 The CGSC Foundation and the Simons Center have received support for all brown-bag lectures in academic year 2019 from First Command in Leavenworth, Kansas. All lectures in the InterAgency Brown-Bag Lecture Series are free and open to the public. As the series moniker states, the lecture series is conducted in the traditional “brown-bag lunch” format. – Attendees are welcome to bring their own lunches into the conference room. Members of the public coming to the lectures from off-post will need to add extra time to check-in at the Fort Leavenworth visitor center. 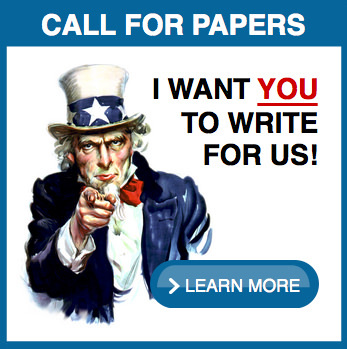 – For gate information, see the Fort Leavenworth homepage – https://garrison.leavenworth.army.mil. Visit the Command and General Staff College Foundation album on Flickr for more photos from the lecture.